darkSpyro - Spyro and Skylanders Forum - Skylanders: Swap Force - Portalmaster rank? darkSpyro - Spyro and Skylanders Forum > Skylanders: Swap Force > Portalmaster rank? I've beaten every level and most ofthe side maps and swap zones. So I've got portal Master Rank 38. Is there any reason to try to keep upping this rank? It doesn't seem to do much at this point. Nothing interesting to unlock is there? For Trade: EyeSmall, Punch Pop Fizz, Lava Barf Eruptor(black): PM to deal! Yeah, through collection alone you can get about 20 ranks. SWAP zones for 22 or so more. Arenas for another 10 (and another 10 if you do team arenas). Bonus missions for 10. That combined with the story and random challenge accolades is more than enough, and will net you all the charms as well. I am compiling a full accolade list at the moment - it has all the collection ones so far. More to be added as I work through a replay. Yay i am level 80 now . I am the greatest most talented Portal Master ever ............sooooo now what and where is my super powers ? I was Level 80 almost a year ago. Level 45 at the moment. I am trying to beat all Side Missions now. I finally made 80 last night and got a Volcano Hat which I think is the reward for maxing out. I put the game down for about 8 months and only took it back out so I can finish it before Trap Team. I didn't really care for the Swap Force aspect as they only unlock mini-games, so I never got around to buying any figures. A week ago I bought someone's collection of 10 swappers off ebay for $50 to unlock those awful swap gates and then I played the hell out of the game for the past week to Nightmare story mode and level 80 myself. I still have to obtain about 50 more stars and I need to buy 18 or so blue base Skylanders some day to properly 100% the game, but that can wait for when the prices on these things tank to a dollar or two. At the moment, I'm pretty bored with the game and I'm so looking forward to Trap Team now. 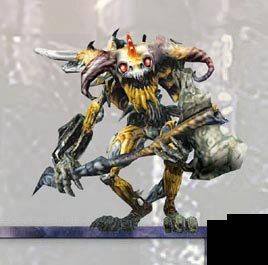 I still think Giants was a better game mostly because the levels were not so crazy long and drawn out. Doh! I just remembered that I need to 100% my 3DS version now. I cannot recall if they have Portalmaster ranks or not but it's a different game entirely and fun, but in a different way. They are really not that bad . I'm at level 68 so far. Eventhough I have Trap Team, I'm still grinding in Swap Force. I just got the game. I'm level 4. Yup capping the rank at 80 when you can still do so much more is kinda sad . At least you still get those accolades .